Fish for The mighty Mekong Giant catfish in a stocked lake. Weighing up to 40 kgs. 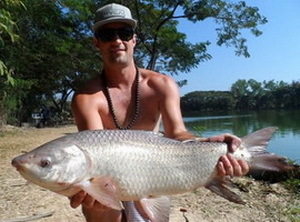 This is the best onshore fishing during holidays in chiang mai northern Thailand. Only 30 minutes from city. Suits all the family whether beginner or expert. 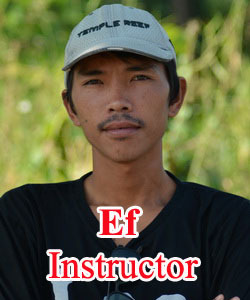 Enjoy learning and improvement your fishing skill with our english speaking local instructor. Doesn't matter whoever you are, beginner or expert whether young kid. 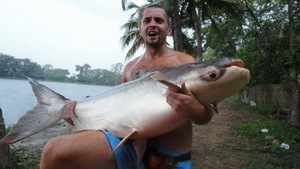 you will be welcomed to enjoy whole process of fishing with us. Good teacher can improve your fishing skill speedily. we believe in our technique that can improve your fishing skill from zero to expert within a few hour. This is a promise from us to guarantee that you will catch fish. We have been fishing at the lake for almost 20 years and have the experience to guide you to success. - PROGRAM No.1 Full day fishing DURATION 08.00 am - 06.00 pm . Pick up at 8 am. from client's residence. Approach to the fishing lake within 30 minutes. Brief introduction Then enjoy fishing entire day. Price 1,900 baht. AFTERNOON TRIP 01.00 pm-06.00 pm. Please note! The fishing duration above is approximately time that's includes travelling from hotel to the fishing lake and from fishing lake back to hotel. 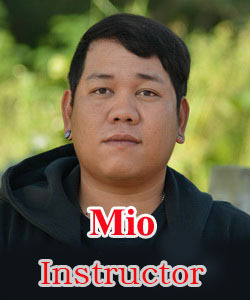 One of our unique service is free fishing lessons with english speaking instructor Either Mio,Ef or Suvit. We are a local family fishing guide team which lead by Mr.Suvit and two sons in law namely Ef and Mio. If Mr.Suvit is unable to lead any fishing trip then either of my two sons in law are able to be of service. 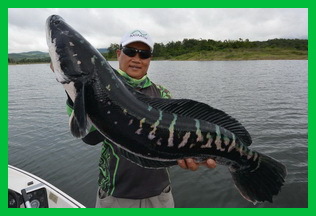 - PROGRAM L1 Fishing Adventure ( 07.45 am - 06.30 pm ) This is the combining fishing program with Giant catfish in a stocked fishing lake ( guarantee catching ) and lure fishing from a boat for Giant snakehead fish in a water reservoir (non guarantee catching) Price 5,600 baht. READ MORE about this program CLICK !!!!!! !